Here is a video of me playing through all of Jingle Bell Rock. No, I don’t sing along 🙂 But you can hear Bobby Helm sing it in the video below this one. Below you can listen to the original 1957 version of Jingle Bell Rock performed by Bobby Helms for a little inspiration. There may be a few funny looking symbols in the Jingle Bell Rock tabs below. 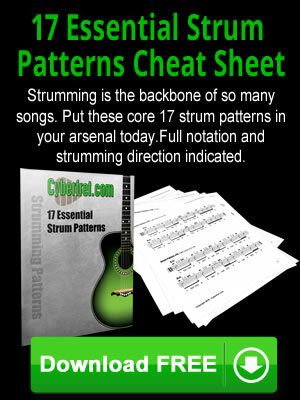 So this video guitar lesson explains the basics of how to read the sheet music. Right Click on the link below to save the Jingle Bell Rock tablature PDF file to your computer or other electronic gizmo.